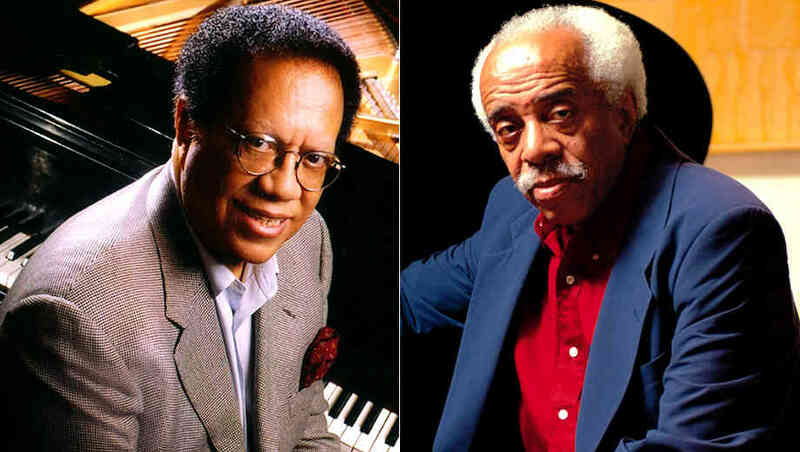 The Allen Room at Jazz at Lincoln Center New York City, N.Y.
Two jazz piano greats, Cedar Walton and Barry Harris, share the stage for what promises to be one great night of music. Best known for his hard bop style, Walton made a name for himself early on performing in Art Blakey’s Jazz Messengers, alongside Wayne Shorter and Freddie Hubbard. He’s also the composer of several jazz standards, such as “Firm Roots, “Bolivia,” “Cedar’s Blues” and “Fantasy in D” (aka “Ugetsu”). Barry Harris’ bebop stylings have been heard jamming with such luminaries as Cannonball Adderley, Coleman Hawkins and Dexter Gordon. Extremely prolific, Harris has recorded 19 albums as a lead artist and has been honored with a Grammy Lifetime Achievement Award. These two piano legends will be joined by Buster Williams on bass and Willie Jones III on drums. Even I could not have thought of this set..ummm!